INSPIRATIONAL Vicky Phelan has said that she is "upset and angry" about the lack of options available to women who have terminal cervical cancer. The Limerick mother has vowed to fundraise so that other patients have access to pioneering treatments. 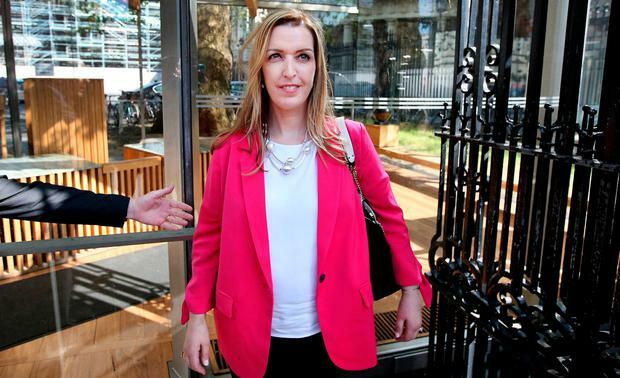 Ms Phelan was the woman whose case first exposed the cervical cancer screening scandal last April when she was awarded €2.5 million damages in the High Court and afterwards it emerged that more than 200 women were affected by issues with Cervical Check. She said that she was "given no hope" when she was diagnosed but is now responding well after receiving Pembrolizumab, a newly-licensed drug. Ms Phelan said on Twitter today: "Waiting for my life saving infusion to arrive. So very grateful that it is working for me. "Today has been very difficult. I found out yesterday that a young woman, also terminally ill w/cervical cancer, died on Tues. She was 37. She was too far gone for Pembro to work. "This morning, when I arrived on the ward, I met the husband of another young woman, who is also terminally ill.
"She is being admitted and has been given weeks to live. I was taken aback when I saw her. She has deteriorated in the two months since I last saw her in Galway. "She may also be too far gone for Pembro to give her any hope of beating this disease. "I am upset but mostly I am angry. Angry that women are not being informed of options other than palliative chemotherapy." She continued to say: "I had to inform both of these women how to go about getting on Pembro. "THIS is why I am determined to personally fund a researcher position to assist ALL terminally ill patients to investigate alternative options, but, mostly to give them HOPE. Without hope, you have nothing."